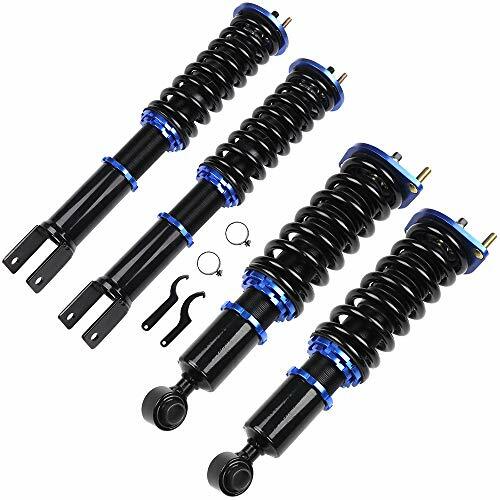 Fit for Nissan Fairldy Z 300ZX Z32 1990-1996 Quantity: 2 piece Front + 2 pieces rear Spring rate Front: 8kg/mm (448lbs/in) Spring rate Rear: 6kg/mm (336lbs/in) Adjustable damper: Non Ajdustable Damper Adjustable height: Front: 380-480mm;Rear: 480-590mm Adjustable camber plate: No Features * Adjustable ride height * Adjustable pre-load spring tension * Pillow ball top mount -- this design helps combat noise while tuning. It also improves the steering feel and response * Most components are made from 6063 aluminum with T6 for increased hardness -- the advantages include excellent strength, and aluminum helps keep the weight down. * Hi Tensile performance spring - Under 600,000 times continuously test, the spring distortion is less than 0.04%. Plus, the special surface treatment is to improve the durability and performance. * all inserts come with fitted rubber boots to protect the damper and keep clean. * Improve your handling performance without sacrifice comfortable ride. * A fast and affordable way to easily upgrade your car's appearance. * Easy installation with right tools. * Ideal for any track, drift and fast road and can also be used for daily driving. 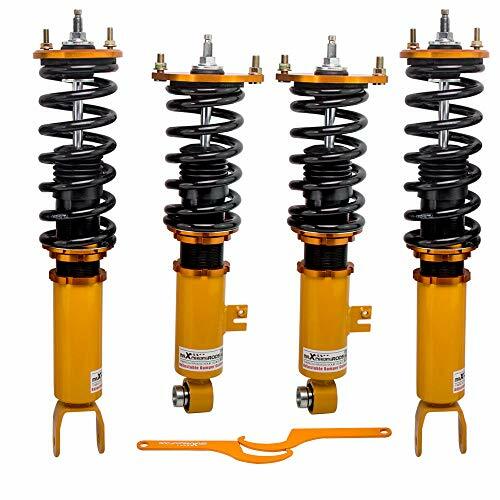 Application: for Nissan Fairldy Z 300ZX Z32 1990-1996 Package including:2 pieces front + 2 pieces rear Spring rate Front:8kg/mm (448lbs/in)/Spring rate Rear:6kg/mm (336lbs/in) Adjustable damper:Non Ajdustable Damper Adjustable height:Front:380-480mm;Rear:480-590mm Features: * Adjustable ride height * Adjustable pre-load spring tension * Pillow ball top mount -- this design helps combat noise while tuning. It also improves the steering feel and response * Most components are made from 6063 aluminum with T6 for increased hardness -- the advantages include excellent strength, and aluminum helps keep the weight down. * Hi Tensile performance spring - Under 600,000 times continuously test, the spring distortion is less than 0.04%. Plus, the special surface treatment is to improve the durability and performance. * All inserts come with fitted rubber boots to protect the damper and keep clean. * Improve your handling performance without sacrifice comfortable ride. * A fast and affordable way to easily upgrade your car's appearance. * Easy installation with right tools. * Ideal for any track, drift and fast road and can also be used for daily driving. 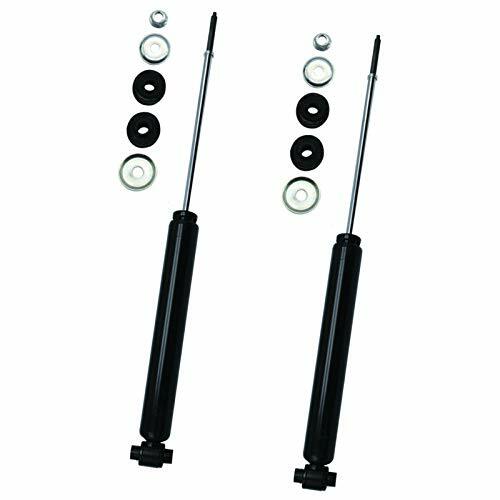 Fit for Nissan Fairldy Z 300ZX Z32 1990-1996 Quantity: 2 piece Front + 2 pieces rear Spring rate Fron: 8kg/mm (448lbs/in) Spring rate Rear: 6kg/mm (336lbs/in) Adjustable damper: 20 ways Ajdustable Damper Adjustable height: Yes Adjustable camber plate: No Features * Adjustable ride height * Adjustable pre-load spring tension * Pillow ball top mount -- this design helps combat noise while tuning. 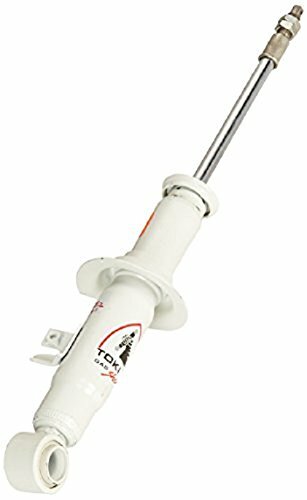 It also improves the steering feel and response * Most components are made from 6063 aluminum with T6 for increased hardness -- the advantages include excellent strength, and aluminum helps keep the weight down. * Hi Tensile performance spring - Under 600,000 times continuously test, the spring distortion is less than 0.04%. Plus, the special surface treatment is to improve the durability and performance. * all inserts come with fitted rubber boots to protect the damper and keep clean. * Improve your handling performance without sacrifice comfortable ride. * A fast and affordable way to easily upgrade your car's appearance. * Easy installation with right tools. * Ideal for any track, drift and fast road and can also be used for daily driving. FLEX Z inherits all the features and quality of STREET FLEX but the adoption of new platform allows its price to be set at amazingly low range (800 to 1,050). FLEX Z, of course, maintains the long-favored "Made in Yokohama" quality. 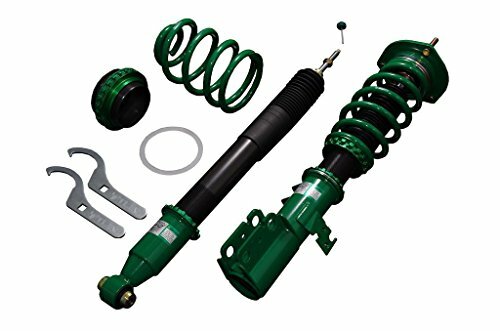 Ride height adjustable shock absorber, fully loaded with TEIN's comprehensive technology, is now more affordable prices than ever. 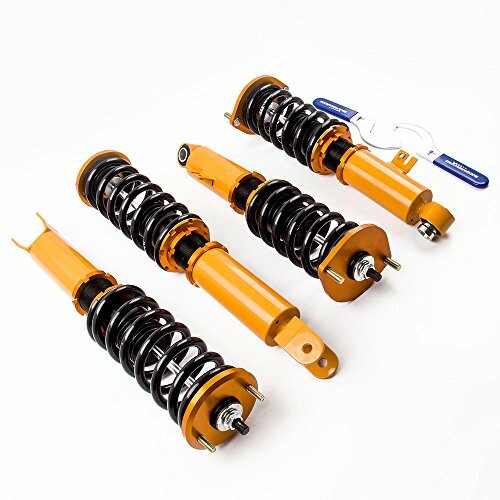 Complete Suspension Kit of 4 Shock Absorbers & 4 Springs. Exclusively Designed Upper Mounts are Included (Except Some Models). 16-level Linear Damping Force Adjustment System. Twin-Tube Structure for Low Resiliency & Securing Sufficient Stroke. Ride Height Adjustment with Little or No Change in Ride Quality. Compatible with EDFC Series to enable In-Car Damping Force Adjustment. Thoroughgoing Rust-Proofing. Highly-Rigid Bracket & Shell Case. Fits Chassis: Z32. 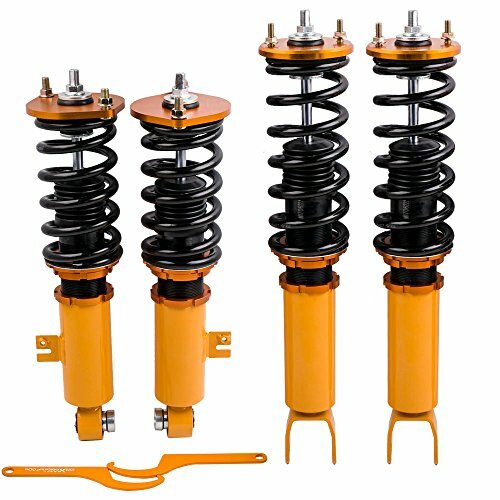 Shopping Results for "Nissan 300zx Coil Spring"